Yukon operates a private auto insurance system, which means that private auto insurers in the territory set their own premiums. Moreover, Yukon auto insurance rate is one of the cheapest of all the Canadian jurisdictions. Even with its cheap auto insurance rate, you can save a lot of money on your coverage by opting for a cheaper and more affordable policy. It is easy to save on your Yukon auto insurance coverage. You can improve your driving record, get more driving experience, use a cheaper car and adjust your coverage amount but none of these methods is more effective than shopping around for a cheaper policy. However, shopping around for policy could take a chunk of your time. You want to focus on what truly matters for you, don’t you? Call Insurdinary for Yukon auto insurance coverage suitable for you. When you call insurdinary.ca, we will connect you to insurance advisors in Yukon who will guide you to choose the most affordable auto insurance policy for Yukon residents. Our insurance advisors make the job easy for you by compiling and comparing auto insurance quotes from reputable auto insurance companies in Yukon. This means that they can compare quotes from oodles of auto insurance companies for you in the same amount of time it will take you to get just a single plan. What are the Different Factors that Affects Yukon Auto Insurance Rates/Prices? Several factors determine the amount you pay on Yukon auto insurance coverage. Auto insurance companies consider the following factors when calculating your auto insurance rate. How much will car insurance cost me in Yukon? 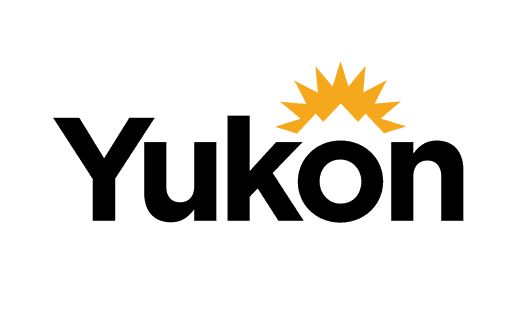 Yukon is one of the most affordable Canadian jurisdictions with an average auto insurance rate of $812. Although the rate is low, you can get an even lower rate by shopping around and comparing policy options from auto insurance companies in the province. How much is the Yukon auto insurance rate in comparison to the rest of Canada? Yukon is the cheapest territory in Canada and one of the cheapest among the Canadian provinces and territory, costlier than Quebec and a few other provinces. Which Yukon auto insurance company is the cheapest? No single Yukon auto insurance company can be considered as the cheapest. The rate varies across auto insurers depending on the insurer’s claims experience and how you are rated. Varieties of factors also affect the amount you pay on your auto insurance policy as enumerated above. Irrespective of the rate offered by the insurer and how you are rated, you can reduce the amount you pay on Yukon auto insurance rate if you shop around for affordable coverage. What is covered in my Yukon auto insurance policy? Your Yukon auto insurance policy is required to include third-party liability insurance coverage, medical coverage, hit-and-run coverage, funeral expense benefits, disability income at 80% of gross wage as well as death benefits. However, you have an option of adding additional or optional coverage to your policy. Will Yukon Auto Insurance Rates Go Down Anytime Soon? Yukon has a low auto insurance rate but auto insurance rates in the territory are going up recently. However, this does not depict the amount you pay on your auto coverage in the territory. It is recommended that you shop around before you choose any coverage to be sure that you get the cheapest and best auto coverage suitable for you. To learn more about Yukon auto insurance, click here. What is the Minimum Requirement For Yukon Auto Insurance? Yukon drivers are required to hold up to $200,000 in third-party liability insurance with property damage capped at $10,000 within this amount, up to $10,000 per person in medical coverage, up to $200,000 in hit-and-run coverage, $2,000 in funeral expense benefits, up to $300 per week in disability income coverage, and $2,000 per dependent or $10,000 for the head of the household in death benefits. The Yukon RCMP began asking Yukoners to provide roadside breath samples after federal changes to alcohol-impaired driving law become effective last December. During the holiday, police demand that drivers submit to roadside alcohol screening tests if they violate traffic laws such as blowing through a stop sign or speeding. Drivers are also required to submit to alcohol screening tests if they have stopped during a random roadside sobriety testing program. Police usually have the ground to request follow-up tests when drivers blow over the legal limits. The tests oftentimes result to criminal charges. According to Sgt. Jane Boissonneault, it makes it simpler for the police to request for the breath sample at the roadside but the police either have to smell liquor or have admission in the past. According to Leo Lane of the Public Prosecution Service of Canada in Whitehorse, you could be found guilty of a criminal offense if you refuse a breath sample. This may result in a minimum fine of $2,000 or you may lose your license. Lane said that it’s done at the roadside because it is a screening sample only and it cannot be used as evidence in court to get a criminal conviction. However, it gives the police officer the legal ground to take you to the police station and request for the full breath sample. To learn more about Yukon auto insurance news click here.